The Moshiach Seuda (Moshiach's Meal), followed by the Havdalah service. Let's end Passover together with a special farewell "meal". Enjoy matzah and wine, discuss words of Torah and inspiring stories; sing Chassidic melodies and learn about why this day has a special energy related to the coming of Moshiach. We will then conclude the holiday with the Havdalah service. The last day of Passover (Acharon Shel Pesach) is especially associated with Moshiach and the future redemption, speedily in our days. The Haftarah for this day is from Isaiah 11, which describes the promise of a future era of universal peace and divine perfection. Rabbi Israel Baal Shem Tov, the founder of Chassidism, instituted the custom of partaking in a "Moshiach Meal" on the afternoon of the last day of Passover. 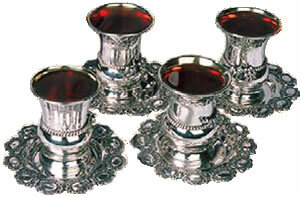 In addition to the matzah eaten at this occassion, The Rebbes ofChabad added the custom of drinking four cups of wine (not compulsory) as in the seder held on the first days of Passover. Click on this link for more information about this auspicious day. 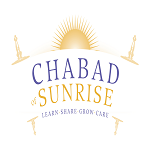 Please email us at office@jewishsunrise.org to let us know that you will be joining us.